NASA is about to make history on March 29 with the first all-female spacewalk outside the International Space Station. Canadian Space Agency and NASA flight controller Kristen Facciol, who will be providing support on the ground, shared the exciting news on Twitter. Initially planned for last fall, this walk was delayed and somewhat fortuitously scheduled for Women’s History Month, which celebrates the contributions of women both in history and modern society. 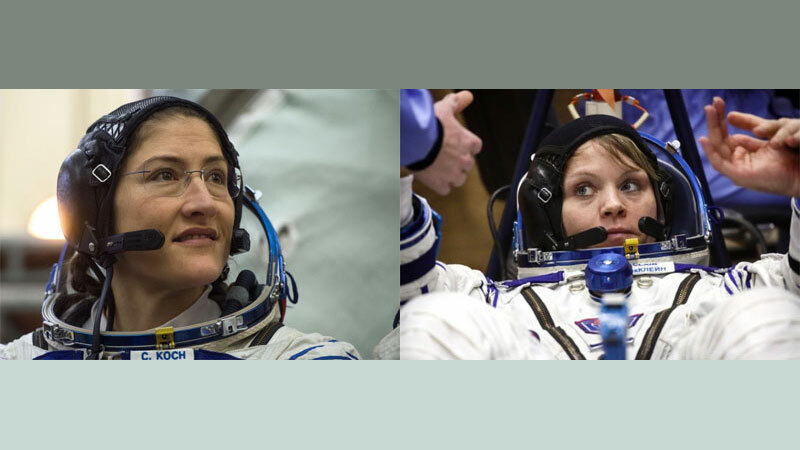 NASA astronauts Anne McClain and Christina Koch are suiting up for the female-only walk, a seven-hour extravehicular mission that will be broadcast on NASA TV. McClain boarded the ISS in December while Koch will arrive March 14 on the Roscosmos Soyuz spacecraft along with fellow NASA astronaut Nick Hague and cosmonaut Alexey Ovchinin. It’s an exciting time of firsts for both women. This is the first ISS spacewalk for McClain and the first spaceflight for Koch.